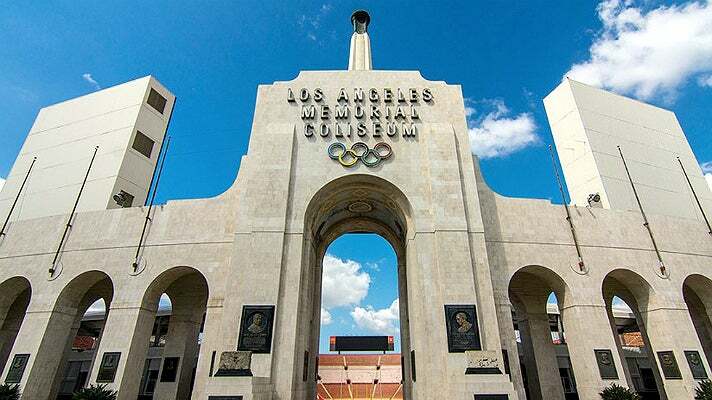 The Coliseum and Exposition Park are easily accessible from Interstate 110 (aka the Harbor Freeway) and the Metro Rail Expo Line. 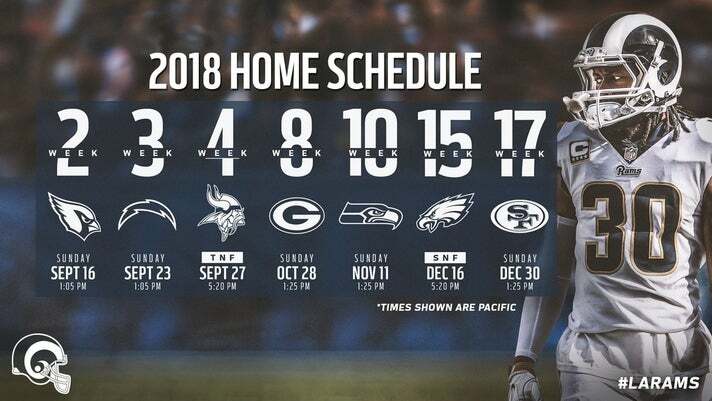 The Rams are playing seven home games at the Coliseum, including the 2018 home opener against the Arizona Cardinals on Sept. 16, a crosstown rivalry game versus the Chargers on Sept. 23, and the San Francisco 49ers on Dec. 30. Tickets are now on sale at Ticketmaster. NOTE: Beginning with the 2018 season, the NFL will prohibit print-at-home tickets. The only tickets accepted will be commemorative hardstock (sent to Season Ticket Members) or mobile tickets via the Rams App, Rams mobile website, or Ticketmaster App. Parking in USC Campus and Exposition Park lots are by permit only and there is no public parking on-site for Rams games. Gameday Traffic Flow will be in effect for fans driving to the Coliseum. Parking lots open five hours prior to kickoff and close 90 minutes after the end of the game. Vehicles must exit the stadium parking lots by 90 minutes after the conclusion of the game. Due to limited parking, fans are encouraged to “Go Metro on Game Day.” More information can be found in the next section of this guide. Vehicles are allowed to drop-off in Exposition Park at Exposition Park Drive and S. Figueroa Street. Rideshare services and other vehicles cannot enter Exposition Park until 60 minutes after the game. For any type of car pick-up prior to that time, proceed to Jefferson Boulevard, north of the USC Campus. For fans heading to the Coliseum on game day, Go Metro with bus and rail lines that will help get you past the traffic and parking hassles and straight to the action. 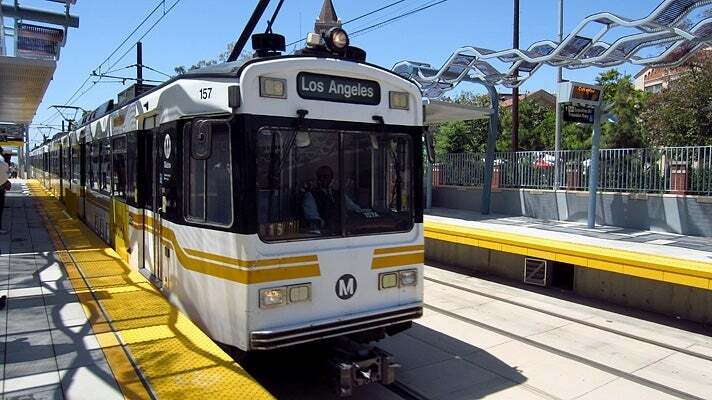 The Metro Expo Line, which connects Downtown L.A. and Santa Monica, runs approximately every six minutes before and after games. The Coliseum is served by two Expo Line Stations - the Expo Park/USC Station and Expo/Vermont Station. Both are an easy five- to 10-minute walk to the Coliseum. To help alleviate post-game crowding, Metro recommends that fans heading back to Santa Monica should board at Expo Park/USC Station, while those returning to Downtown L.A. board at Expo/Vermont. This printable map of Metro services to the Coliseum includes Metro Expo Line and Silver Line stations, Metro Rapid Line stops, and Metro bus routes and stops. Here's a pro tip: save time by loading your TAP card with round-trip fare before the game and avoid the long lines at TAP vending machines after the game. Small coolers and picnic baskets are okay to bring on board, but please keep aisles clear. Eating or drinking while in stations or on board Metro buses and trains is not permitted. Please do not bring barbeque grills, flammable products or oversized items on board. For more game day tips, check out the Metro website. Tailgating is one of football's great traditions, but there are some rules to keep in mind. Tailgating is allowed in designated Exposition Park lots (Lot 2, Lot 4, Lot 5, Lot 6, South Lawn and State Dr.). Tailgating is NOT permitted in Lot 3, the Visitor Parking Structure, South Park Drive, Martin Luther King Boulevard, or Expo Center Drive. There is no tailgating on the USC Campus or USC Campus Parking Facilities during Rams games or events. NEW IN 2018: Due to ongoing construction, tailgate parking options will be limited. The Rams are offering fans the ability to rent private tailgating space and turnkey services for groups of 10+ people on the Expo Lawns. In addition, the Rams will continue to offer VIP Tailgate for attendees wanting an all-inclusive high-end experience. 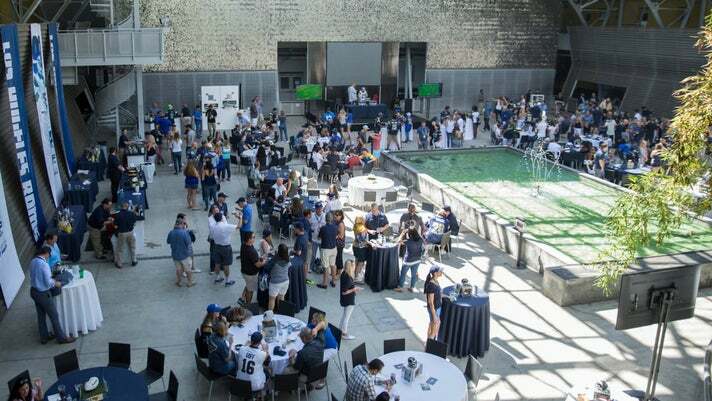 Located at Banc of California Stadium, the Rams VIP Tailgate is an all-inclusive VIP experience with high-end food, music, live NFL games on TV, and chances to meet Rams alumni and cheerleaders. Tickets are sold individually, so you can enjoy the experience whether you're by yourself or with a group. Prices vary from $140 to $175 for all-inclusive food and can include beer, wine and alcohol. For more info, visit the Rams website. For a safer environment and speedier entry, the Coliseum implements a clear bag policy. Fans are advised not to bring bags unless outlined as a permissible size and material. Approved examples are a clear tote, small clutch or clear bag. For details, visit nfl.com/allclear. Full tailgating policies can be found at the Rams website. Rams Party Zone: Located in the peristyle area, check out the addition of a grab & go marketplace with wine by the bottle and a cocktail bar. Street Market: By Gate 16. Items include wraps, wine by the bottle, craft beer and more. 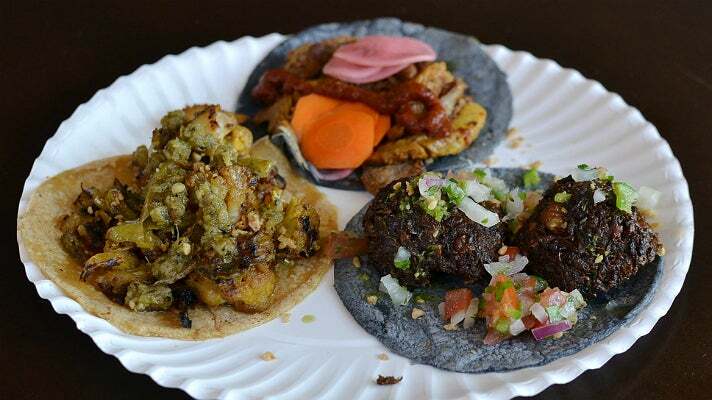 Food Court: By Gate 11, this space with bench seating includes a variety of food including fried chicken, tamales, street tacos, loaded fries, pulled pork, ice cream and more. Taste of L.A. Food Trucks: Located in the peristyle area, there will once again be a variety of L.A.’s best food trucks each gameday. Cathy’s Cookies: Back by popular demand! Look for a second location of this fan favorite this season. Rams Kids Meal: $10 kids meal includes a hot dog, water and apples. Available at stands 19, 113, 121 and 125. Taste of California Craft Beer: Located in the peristyle area, take a craft beer tour of some of the best breweries in California. For a detailed PDF map of food and beverage locations, visit the Rams website. In September 2018, the Rams announced the launch of Premier and Reserved Seat sales at the team’s new L.A. Stadium at Hollywood Park. 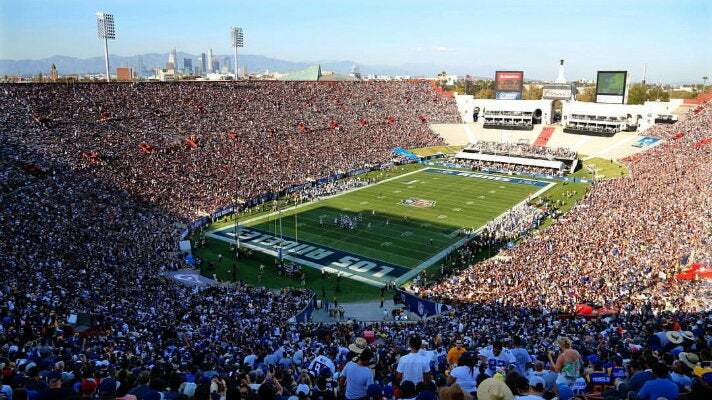 The new stadium will open in 2020 and is the centerpiece of the 298-acre Los Angeles Stadium and Entertainment District (LASED) being built in Inglewood by Rams Owner/Chairman E. Stanley Kroenke. Starting the week of September 17, Rams Season Ticket Members, as well as fans who signed up for the new stadium deposit list, will receive communication about the opportunity to purchase Premier and Reserved seating, which comprise the remaining 70 percent of the building. These sections, along with Club Seats that were made available for purchase earlier in the year, represent all the individual seat options in the new stadium. For more info, visit the LASED website.